After the holidays, a period of detoxing has become a constant, classic habit. In Italy we generally begin curbing our appetites on January 7th, in accordance with the traditional custom that with Epiphany all festivities end. That means that by today, 17 January, those with the greatest self-control have been dieting for ten days. If up to now it hasn’t been opportune or even kind to mention delicacies, appetizing dishes and glasses full of divine (as in from the vine) nectars, now we feel authorized by this 10th day of abstaining to mention the first appointment of the year marking the recommencement of wine tastings. And we think these appointments will be appreciated even more due to the sacrifices of detoxing that all (or at least many) of us have undertaken! 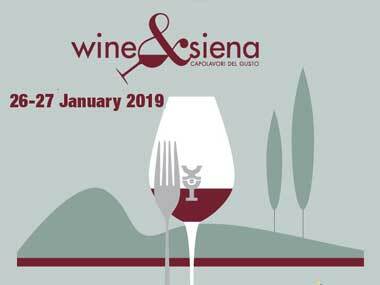 Therefore we can consider ourselves as meriting the weekend of 26 and 27 January and plan on being in Siena for the 4th annual Wine&Siena event, created, planned and organized by the Merano WineFestival. Anyone who has already been will hurry to note down the appointment, and all those who haven’t yet experienced it will be happy to finally do so. The city of Siena welcomes the event with great hospitality in a number of different locations throughout the town. It’s is a wonderful way to see unknown places in of the city as visitors move from one tasting to another.